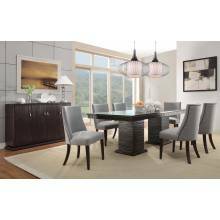 Design elements from traditional to mid-century modern are delicately balanced in the sophisticated Chicago Collection. 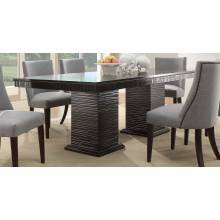 This deep espresso finished dining group takes the uniquely routed accent of the apron and double pedestal table base and applies it to the accompanying server. The shape of the chairs conforms to your body, providing comfort and maximum style. 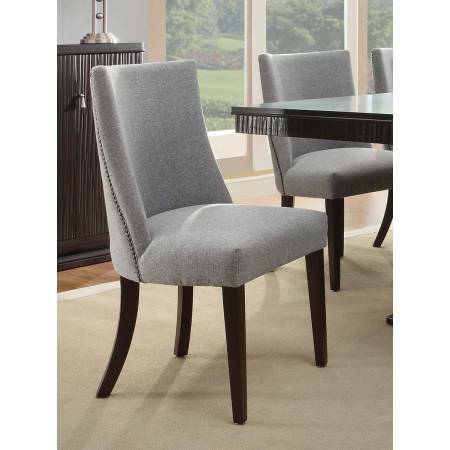 From the grand sweep of the arms to the traditional nail-head accent, this chair is the ultimate in sophistication. 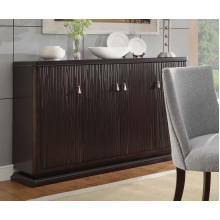 The server features tassel drop pull hardware in a nickel finish and features door storage. Design elements from traditional to mid-century modern are delicately balanced in the sophisticat..